Local authorities told media on Tuesday that the bodies were found alongside a road in the municipality of Argelia, Cauca. Government Secretary Maribel Perafan, the official in charge of security in the Cauca province, told W Radio that the bodies were dumped in the rural community. Some of the victims were tortured before they were executed, according to the authorities. Regional Police commander Colonel Fabio Rojas told media that the victims do not appear to be from the local community and are between 25 and 35 years old. Cauca Deputy Jonathan Patiño, who is from Argelia, told newspaper El Colombiano that the victims were apparently murdered near the neighboring town of El Tambo. According to Patiño, the massacre could serve to divert the attention away from El Tambo where security forces have recently engaged in combat with illegal armed groups. Two groups are active in the area, the ELN guerrilla group and a recently announced paramilitary group, the “People’s Cleansing Command” (CPL), which last week threatened to execute undesirables in the region. 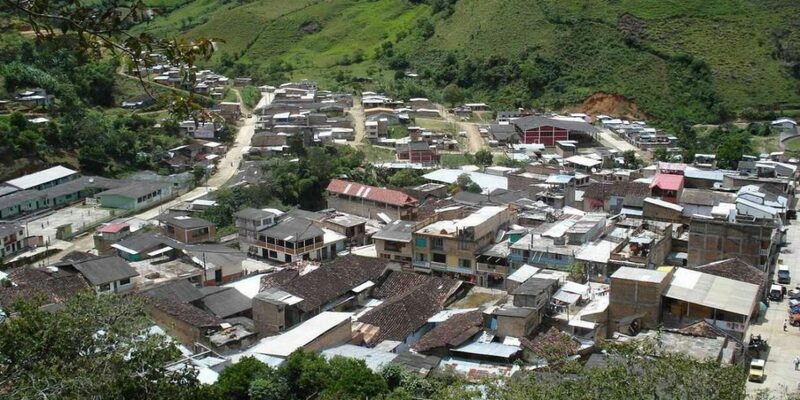 Argelia is one of the municipalities that was under control of the FARC until last year when the group demobilized 14,000 people as part of an ongoing peace process. The military’s failure to assume control in former rebel territory caused a power vacuum that spurred armed conflict with rival illegal armed groups vying for the FARC’s former territory and criminal rackets. More than 280 social leaders have been murdered since the peace process began in December 2016. The practice has been most common in coca-growing regions where local communities wanted to take part in a government program to substitute their coca for legal crops.